Once again, Rodney Hide strips away useless decoration to reveal the essence that lies beneath. This time, his target is Sir Peter Gluckman and his report on how climate change might be expected to affect New Zealand. Not now, later on. In 77 years. Here is Rodney’s article in the NBR last Saturday, Prophecy fails the scientific test (paywalled). 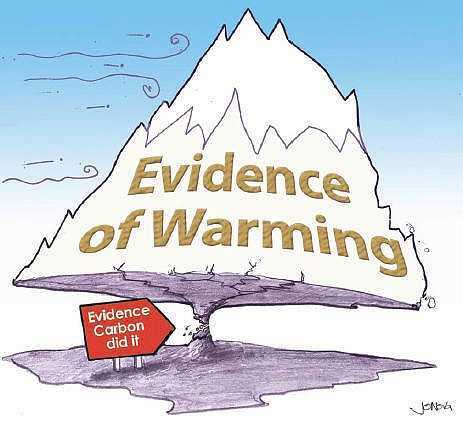 Jo Nova created this iconic cartoon of the shaky evidence for CAGW. This is in response (slightly delayed by an Easter break) to the list of “proofs” produced by Gareth Renowden, at Hot Topic, in answer to my request of Sir Peter Gluckman, the PM’s scientific advisor, for evidence of a human cause for anticipated dangerous climate change, more properly referred to as the catastrophic anthropogenic global warming (CAGW) theory. 1. The existence of a current unprecedented global warming trend. 2. That the greenhouse effect is powerful enough to endanger the environment. 3. A causal link between human activities and dangerously high global temperatures. 4. That climate models have a high level of skill in predicting the climate. 5. A causal link between atmospheric levels of carbon dioxide and global temperatures. 6. A causal link between global warming and the gentle rise in sea level. In response to this, Gareth claims “there is plenty of evidence to address every one of his points” and presents some attractive and interesting graphics in support. I’ll comment on what he says to each point. Sir Peter Gluckman wants to see the evidence. So do we. One of the key challenges for all governments is how to make the best use of evidence in both policy formation and policy evaluation. It’s reassuring to hear that the PM’s science advisor is prepared to look for evidence. At least in relation to global warming, it’s not an instinct he’s been noted for. He tells us he’s released a report, Towards better use of evidence in policy formation, and I’d like to read it. That incomparable writer, Miss Michele Hewitson, of the NZ Herald, has interviewed our Chief Scientific Advisor, Professor Sir Peter Gluckman, and the report appears in today’s edition. Now, Michele often specialises in the human side of your famous person, not perhaps delving too far into the deeds and sayings for which he might be famous, but humorously describing the ebb and flow of the interview or the sometimes awkward situations that develop as our intrepid prober of public persons boldly goes where few reporters dare. Michele can be genuinely funny and wondrously insightful by turns. That is how today’s example has turned out, as Miss Hewitson gets her subject to converse on everybody’s favourite topic — themselves. Which she accomplishes by various superficial means, such as asking why he has a beard. 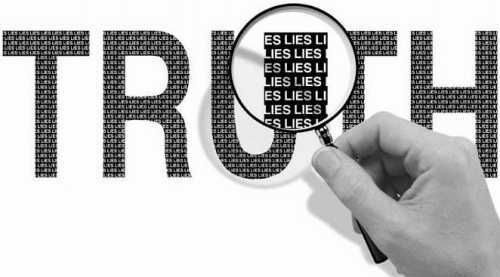 Lies are often dressed up as truth. Yet even with the truth in ruins, we can still get lucky and stumble upon it. This is the second instalment of a review of Professor Sir Peter Gluckman’s speech of 9 June, entitled Integrity in Science: Implications from and for the Climate Change Debate. The first instalment was Gluckman stumbles on the truth. In using the term “denialist”, our Chief Science Advisor descends to the sludge at the bottom of the barrel of scientific debate. It is a matter of profound regret that the CSA imports this malignant, divisive term to his prestigious office and the hallowed halls of the Royal Society. There is no reason for an honest man of science to employ erroneous techniques of observation or debate, for what would it profit him? They would only ensure, first, that his argument fails and, second, that his credibility is damaged, the greater for being the higher in rank. So this is an enormous lapse in judgement by our top scientist and deserves the firmest reproach. Endorsement of Sir Peter’s comments, such as by the Royal Society (see below), is similarly reproachable. In adopting the technique – or logical fallacy, whichever you prefer – of the ad hominem argument by labelling those who disagree with him as denialist and rejectionist, he engages in the worst scientific conduct. It is no less than poisonous, and that this toxic stuff now emanates from the summit of our scientific pyramid gives it a cachet it should never receive. Professor Sir Peter Gluckman, the Prime Minister’s Chief Science Advisor. Here is a statement issued yesterday by Terry Dunleavy, Hon Secretary of the NZ Climate Science Coalition. The ODT reports Professor Sir Peter Gluckman’s speech last night (you’ll remember him, he’s the PM’s chief science advisor). As expected, the speech seems to have been mainly waffle with few new facts or arguments. However, the Professor informs us that New Zealand beech trees and swallows are feeling the heat. This is despite Phil Jones’ claim that there has been no significant global warming for 15 years and a slight cooling during the 21st century. It also betrays David Wratt’s claim that future global warming will be less in New Zealand because of the surrounding ocean. More pertinent is the fact that NIWA’s SSS and ESS don’t seem to detect any warming in this country during the past 50 years. So something else must be affecting the swallows, and Gluckman’s ‘science’ (the only factual line in the whole speech) is exposed as being wrong. Apparently the public is “confused” about the science — “what we know and what we do not know” — and the confusion is all caused by “deniers”. But, Doctor, we have genuine questions… Answer our questions! Beginning with: what’s the evidence? If Sir Peter gives the PM truly objective advice on climate science, why doesn’t he do the same in his speeches? I think he’s telling John Key just what he wants to hear about global warming, so it doesn’t have to be objective. There’s more to say about this disgrace.